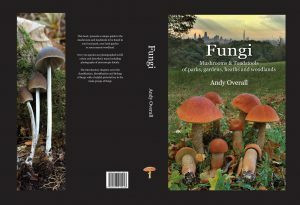 From 2008 until 2010 I had the distinct honour of carrying out baseline surveys of larger fungi at a selection of Royal Parks. 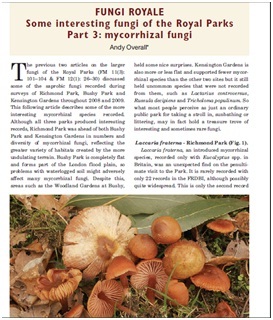 These sites included Richmond Park, Bushy Park and Kensington Gardens. All three of these sites fall within the Greater London area and are former deer parks. 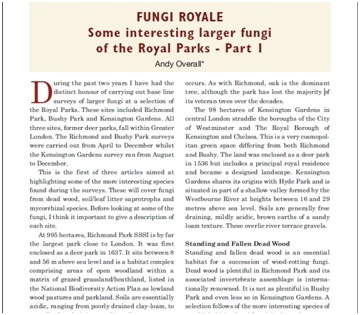 The Richmond and Bushy Park surveys were carried out from April to December whilst the Kensington Gardens survey ran from August to December. 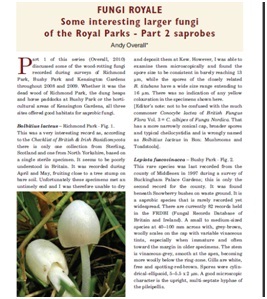 Below you will find three articles highlighting the findings from these sites and have been divided in to Part One dedicated to Parasitic Fungi, Part Two Saprobic and Part Three, Mycorrhizal. Just select the applicable hyperlinks to open the PDF files.